Cape Elizabeth is part of the Portland-South Portland-Biddeford Metro area in Cumberland County. The town is considered one of the most affluent areas of Maine. The current estimated population of 9,015 is living within a total area of 14.7 square miles of land. The town is famous for its annual Beach to Beacon 10K road race. Every year elite athletes from around the world come to Crescent Beach State Park to compete in this prestigious event. The limits of the town also extend to 31.23 square miles of waterways and residents as well as visitors take advantage of that as often as they can. 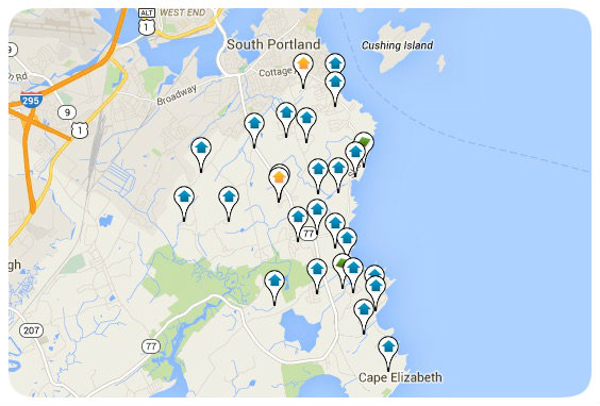 There are three coastal parks in the area; Two Lights State Park, Crescent Beach State Park and Fort Williams Park. Local waterways and land conservation efforts and helps to maintain the integrity of the area for public use. There are two islands included in the boundaries of the town; Ram Island and Richmond Island. Ram Island lies directly adjacent to Ram Island Ledge and is unoccupied Richmond Island is larger (226 acres) and is now mostly inhabited by sheep. There is an abundance of wildlife and plant life to explore and appreciate the area. The town is more than just the place for tourists and vacationers who wish to sample New England life. It is a vibrant community of friendly folks and helpful neighbors. With its picturesque views, and lovely homes available, there is no doubt that homebuyers would find life in Cape Elizabeth extremely fulfilling. Listing courtesy of RE/MAX Oceanside.